Companies in the industry of power transformer and transformer substation servicing and repairs, power plant turbines, oil production and processing facilities, petroleum storage facilities will find our offer interesting. We are offering a vacuum regeneration and purification system to restore the original qualities of the oil. 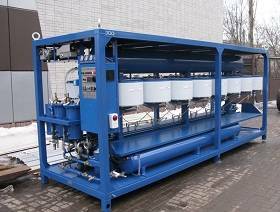 The GlobeCore UVR regeneration and oil restoration units provide the best and the most effective degree of regeneration and oil restoration during production and storage; after regeneration and purification the oil remains stable and does not oxidize, therefore they do not darken and do not accumulate odors. 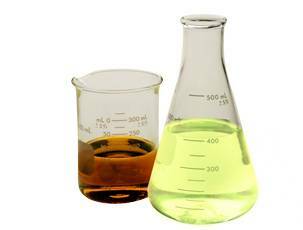 Qualitative parameters of the oil are very important for their use in transformers, turbines and other systems and assemblies: if the oil contains acids or bases, as well as other aging and oxidation products, it will adversely affect energy systems, transformers, turbines etc, which will reduce equipment lifetime. To make the oil compliant with standards, use the UVR type units, which will most efficiently regenerate (purify) the oil and make it stable. We have both stock and customized equipment to take into consideration all client requirements and needs, with full or partial automation, remote control, various climatic options. Stock models can be purchased directly from the warehouses in Germany. Customized models are built to order and take a certain time to manufacture, usually from 30 to 45 work days. The production facility is located in Oldenburg, Germany. Commissioning of the system at client location takes two days. You will need several hours to prepare communications (380V power, oil lines), vessels and workplace equipment. The machine can be promptly supplied anywhere in the world by any appropriate means of transportation on customer request. 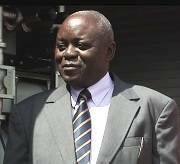 Commissioning and personnel training are negotiated individually. Follow us in social networks FC, LN, LJ. You are a director of a hydro, thermal or nuclear power plant or an electric service company, a large factory or plant or some other large facility. You know what to produce and what kind of equipment you need, you are also aware where to purchase the equipment, but you keep postponing. You know what to do. Placing an order is a quick and simple process! You are a supply manager. You need to find the best price and quality solution, build and maintain good relations with suppliers. 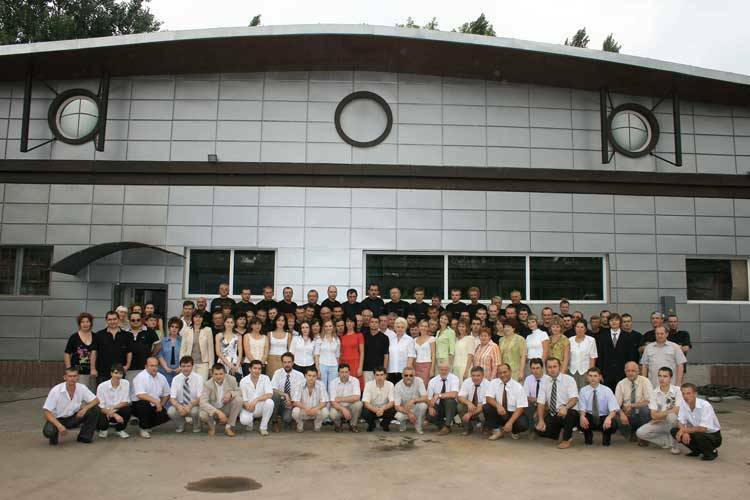 In the past GlobeCore has built truly friendly and warm relations both corporate and personal with our clients. You are an electrical service engineer, working with oil filled equipment, transformers, turbines and substations. You want your machine to operate reliably, without failures and last long. Now is as good time to place the order as any! Sure, metal also wears down, but we offer servicing, a stock of spare parts and a manufacturing facility – we will support you! UVR can regenerate motor oil. No, it cannot. Usually people asking such question plan to reuse the oil after regeneration. Unfortunately, in this case the idea is not so good, as such ‘regenerated’ oil is definitely not healthy for the motor. 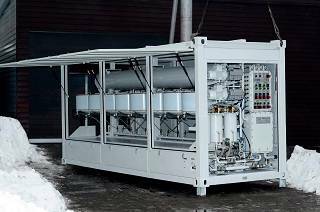 The UVR units are designed primarily for regeneration of light oils, such as transformer, turbine and industrial oils. Can the GlobeCore UVR system improve oil color, remove odors and sulfur all at the same time? Yes it can. Apart from regeneration, the unit can also perform the above. The end product after processing with a UVR system becomes lighter, has no solid contaminants, odors and has less sulfur, therefore, the UVR system is the best system to perform the above processes simultaneously. Do you need to obtain oil ‘as good as new’? Do you need to remove odor? Improve oil color? Reduce acid and base content to the minimum? Remove solid contaminants and water? Would you like to purchase high quality equipment at a very competitive price? If your answers are ‘yes’, then we can do business! The GlobeCore UVR unit is the solution. So what does it take to install and start the UVR system at your facility? We will offer you options and prices and will inform you of projected time of manufacturing, supply and shipment. If you so wish, we can set up a meeting and unit demonstration at the factory. The unit will be manufactured and supplies, then commissioned at your location, then your personnel will be trained to operate it. Initially we study the task at hand and the specifics of operation of the equipment, if any, in your process. A detailed technical assignment, or a detailed inquiry, or experiments made at our factory with your oil and our UVR-L test bench are of great help at this point. We will also contact you by phone to discuss each and every detail. Besides, we have a vast number of test reports for many various types of oil received from many laboratories and research institutions. We have had many experiences so far: ideally, a stock unit will fit your purposes, in which case the only things to do is pay for it and ship it. Sometimes a detailed discussion dictates an entirely different system, such as a CMM-R, CMM. In some cases we design a unit with options and capacities specified by the customer. When the designed makes a decision on which specific unit works best for you, a company representative sends you an official offer with a description of the model, its price, term of production and shipment, commissioning and startup. 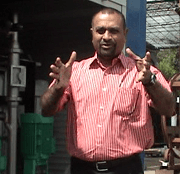 At this stage customer representatives often wish to visit the factory for a close look. If you are coming from abroad, we will assist with visa applications, set up a tour and lodging, show the equipment being assembled and in storage and will also explain how your unit is different, if any customization options are selected. 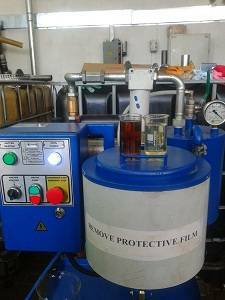 We recommend you bring samples of your material (oil or fuel): it is always a very good way to demonstrate the process by running the samples through the smaller UVR-L test bench system to improve color, purify or regenerate the liquid which can immediately show you the result of such process on your specific material. We also offer a hospitality program for our guests, which you will learn more about when you are here. A contract is signed and the product is paid for. GlobeCore completes the order, which includes manufacturing, testing, delivery, certification, customs clearance etc. In the meantime the customer prepares the site for installation of the unit and communication connections. Should commissioning assistance be necessary, GlobeCore professionals will visit your facility, install the unit and train your personnel and test the operation of the unit in your production process. Absolutely no delays or negligence. You get a fuel lightening system which function as per specifications, precisely on schedule and without hidden costs. Production facility location: Germany, Oldenburg. Warranty period is 12 months from date of dispatch from our warehouse. Can any UVR model regenerate and restore various oils? Yes, all units are versatile and any model can regenerate and restore any oil, however, there are certain requirements and preferences, such as: for instance, when switching from regeneration of industrial to transformer oil, the unit requires very thorough cleaning to remove all traces of previous oil type, since this would have a large impact on dielectric loss tangent. But generally, any UVR unit can regenerate oils. 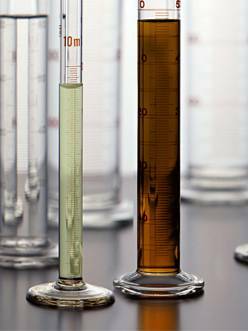 Can the UVR system regenerate motor oil and synthetic oil? No, unfortunately, this system will not regenerate motor oils. Neither can it regenerate synthetic oil. Construction material: Stock model is made of carbon steel, some elements are made from stainless steel and nonferrous metals. Power consumption Total max power consumption: 5 kW for UVR-450/6; 8 kW for UVR-450/16 and UVR-450/16V; 13 kW for UVR-450/16K. Shipment options, delivery to customer storage facility The product ships globally by any suitable means of transportation, by land, by sea or by air. Manufacturing time From 20 to 30 work days with the exception of equipment in stock or nearly completed units which have not been contracted yet. Bitumen emulsion in road construction. Bitumen Modification Plant & Bitumen Emulsion Plant. Bitumen Emulsion Equipment & Bitumen Modification Equipment. GlobeCore® builds equipment for lightening, purification, filtration and regeneration of fuels and oils. Product comply with international standards. All products certified. Quality control ISO 9001:2001 implemented. The company employs over 200 highly professional personnel. The manufactured products are of modern design and highly efficient thanks to constant development by engineering staff. The multi-purpose UVR regeneration system is the optimal most efficient solution in the market of fuel purification and lightening and mineral oil regeneration. The unit is built on the principle of vacuum percolation of the liquid through a layer of sorbent media, which allows to reach ideal results in the processes of lightening, purification and regeneration of oil products and removal of aromatics from them. will speak with you about your requirements to equipment and media, consult and advise you on the optimal solution to your specific tasks. Mr. Kolesnik will accompany you through all stages of ordering, production and delivery. Solid experience in the area of industrial equipment production and providing solutions to real world problems faced by our customers, looking for the most cost-effective options allows us to easily understand your requirements, select the best equipment possible and delivery it in time. Shipment possibilities and delivery to customer storage facility The products ship globally after down payment. Manufacturing time From 20 to 30 work days. This is a subject of individual discussion — the model you need might already be in stock. Is the product protected from wear? How long is the expected lifetime? UVR warranty is 12 months. Projected lifetime is over 10 years. During this time the unit will process many hundreds of tons of fuel. To facilitate processing of specific oil products we can customize the unit with consideration of your requirements (full automation, LCD control panel, remote control). Can the UVR system be used for purification, regeneration and sulfur removal? Usually, yes. 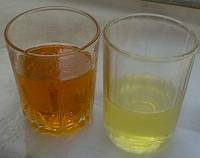 However, the sulfur problem is still not quite solved, therefore the unit has only a limited capacity to reduce sulfur content in oil products.